The force that drives life at the smallest scale is not a mysterious, supernatural force, but it is a surprising one nevertheless. The force that drives life is chaos. At room temperature, air molecules reach speeds in excess of the fastest jet aeroplane. If we were reduced to the size of molecule, we would be bombarded by a molecular storm so fierce it would make a hurricane look like a breeze. To make the molecular storm a useful force for life...it is tamed by molecular machines. 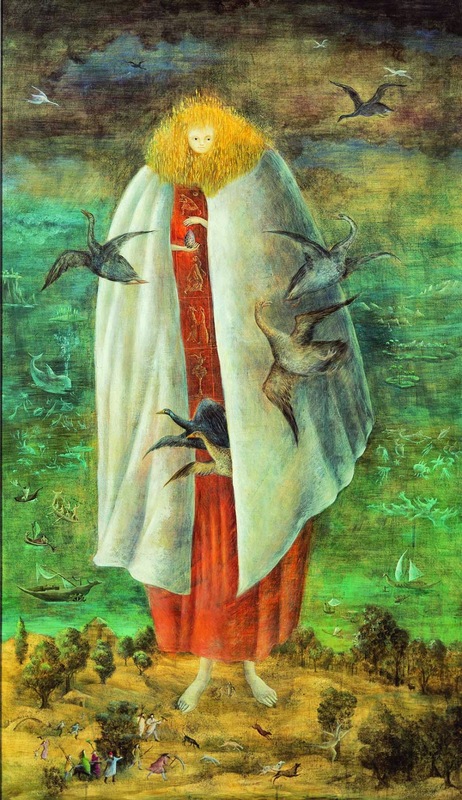 Image: The Giantess by Leonora Carrington (1947) via Apollo Magazine. The phrase 'an infinite storm' is from Travels in Alaska by John Muir (1910).